Anil Ambani Group's direct-to-home (DTH) arm Reliance BIG TV is believed to be in discussions with content providers like Max Broadcasting, Warner Home Entertainment Group and CNN to acquire non-film content for its pay-per-view (PPV) platform, reports PTI. Company sources said that Reliance BIG TV is in discussions with Max Broadcasting, Warner Brother Home Video, Warner Home Entertainment Group, Comedy Central and CNN to sign non-film content acquisition deals, which are expected to close by March this year. The deals are expected to offer PPV revenue upside of nearly Rs500 crore over the next four years and a 10% revenue market share in the DTH VAS category. While an agreement with Max Broadcasting would provide access to sports video content, a deal with Warner Brother Home Video and Warner Home Entertainment Group will enable BIG TV showcase exclusive music events. When contacted, a company spokesperson declined to comment. Comedy Central, which currently owns syndication rights to comedy shows from across the globe, will help BIG TV add the genre to its PPV platform and a deal with CNN/Fox and ABC Networks will provide the company real-time access to current affairs programmes and political news from US, Europe and Asian regions. A deal with CNN/Fox can provide access to popular chat shows. The content is expected to be showcased from April onwards and will be spread over 16 months. Reliance BIG TV is planning to invest nearly Rs350 crore over the next four years for acquisition across film and non-film based content. As part of its overall content strategy, Reliance BIG TV plans to introduce 10 different varieties of non-film content, including sports, music, current affairs/documentaries, adventure, comedy, chat shows, cooking, religion and technology-based content on its PPV platform, sources said. The company earlier introduced music-based content like Michael Jackson's tour. PPV viewership for its non-film content recorded 150% growth over its current average for film-based PPV content, even though they were priced at a premium of 50% compared to regular showcases. The market size of the Indian DTH sector is expected to grow to about $1.28 billion by 2012 from the current $350 million, driven by PPV revenues. By 2012, PPV revenues are expected to contribute nearly 15% of overall DTH revenues from 4% at present. 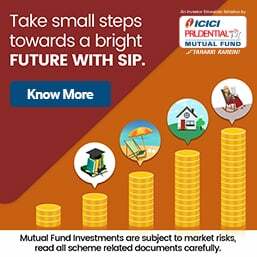 The larger mutual funds that effectively control the Association of Mutual Funds in India (AMFI) and have been instrumental in endlessly postponing the decision on trail commission, are making a last-ditch effort to preserve the status quo, presumably because large commercial interests are involved. “For some reason unknown to us, AMFI has blocked all efforts to implement a clear-cut decision to discontinue paying trail commision to old distributors, after an investor has walked out. It is still not willing to give up this position easily because it is acting as a front for some large mutual funds,” a chief executive officer (CEO) of an asset management company (AMC) alleged. Mutual funds ought to be gearing up to implement the decision to pay trail commission to the new distributor following the Securities and Exchange Board of India’s (SEBI) firm missive to AMFI on 30th December. But amazingly, some funds want to ensure that the decision is postponed again. This includes ensuring inspired articles in the media that raises the bizarre notion that distributors may use the cash from trail commisision to wean away investors! It may be recalled that the decision that trail commission should go to the new distributor was taken by AMFI way back in September 2007. But this never got implemented because of the vested interests that contol AMFI. As a result, AMFI dragged its feet for over two years and has tried very hard not to implement the decision. “I wonder who are the beneficiaries of the status quo,” asks a CEO of another AMC. 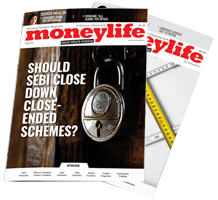 As first reported by Moneylife, on 30th December, market watchdog SEBI came down heavily on AMFI asking it to implement a clear-cut decision taken more than two years ago. SEBI sent a stern email to AMFI ordering it to implement its own circular of 5 September 2007. Interestingly, SEBI was forced to slam AMFI into following this course since the association had come up with another cunning manoeuvre to postpone the decision of implementing the trail commission. On 22nd December, AMFI had circulated a fresh vote by email to the chiefs of AMCs on the trail commission issue, first reported by Moneylife (see here). In fact, as we had pointed out, the idea of a fresh vote by email was circulated barely three hours after SEBI had already asked AMFI to implement the September 2007 circular. This was a sneaky but audacious move to bypass the SEBI directive. Clearly, for an association to do this, in definace of the regulator’s directive, is outrageous. However, instead of implenting the directive, after waiting for two years, AMFI decided to vote on it again by a show of hands. Despite a majority of 17 funds voting against AMFI, the decision was not implemented. In fact, a few months back, AMFI formed a committee with representatives from ICICI Prudential and Birla Sun Life to decide on the trail commission issue. The committee argued that that the original trail commission should be there for life even if the client has shifted. When SEBI pushed AMFI to implement the decision, it went in for a fresh vote by email within three hours of the SEBI directive. Moneylife asked a bunch of questions to the board members of AMFI and and AP Kurian, chairman of AMFI, as to why did the entity go for a vote by show of hands a few months ago on the issue instead of implementing it. We also asked, when a majority of 17 funds voted in a clear-cut manner, why was the decision not implemented and why was another vote by email sought to be carried out on 22nd December? Neither AMFI nor the members who control it had any answers for us, leading to suspicions that there are serious entrenched interests in the fund industry. Since AMFI has deliberately dragged its feet for over two years and has tried to avoid implementing an old decision, there are suspicions of clear beneficiaries of the status quo. AMFI has also not so far explained its motivation in attempting to bypass SEBI’s clear directive of 22nd December, within hours of getting that directive. I give my opinion for giving trial commission to old broker becasue big broker from amdawad and surat are snatching our big investor by inducing them.if this law is passed than all mutual fund advisor will fight within themselves to capture each other aum and not do new business. Both the BSE and the NSE have extended their trading session by about one hour; however, the move has not increased volumes. The trading volumes of Nifty futures are shrinking irrespective of extended trade timings for the Indian bourses. From 4 January 2010, the market has been opening at 9 in the morning instead of 10, but market participation in the first hour has been extremely low. Also, the total volumes at the end of the day have not increased at all. The number of Nifty futures contracts traded in the first hour of trading was just 50,961 on 4th January, which was the first trading day of the New Year and also the first day of the January futures series. In the whole of that day, 2,37,231 contracts of Nifty futures were traded. This was much lower than the volume on 31 December 2009 (4,00,849 contracts). The trading volumes of the Nifty futures contract did not pick up thereafter either. On 5th January, in the first trading hour, the volume of Nifty futures was 86,682; and in the whole day, 3,39,132 contracts were traded. In the next three days, the first-hour volumes were just 46,547, 46,344 and 39,419 contracts, respectively. On these days, total traded volumes in the whole day were 2,95,156, 3,25,130 and 2,77,090, respectively. Volumes picked up today (Monday, 11th January) but not by much; in the first trading hour, the volume of Nifty futures was 61,396. By the end of the day, 2,50,924 contracts of Nifty futures were traded. It is clear that the extended hour has made hardly any impact on the trading volumes. The reason behind the early opening was to attract Nifty futures volumes from the Singapore bourse. Volumes declined towards the end of December 2009 as the global markets remained closed on Friday, 25 December 2009, for Christmas and on Monday, 28 December 2009, Indian markets were closed on account of Moharram. Most fund managers were on a year-end vacation and the market also remained closed on Friday, 1 January 2010, on account of the New Year holiday. The number of Nifty futures contracts traded in the first hour of 29 December 2009 was 44,426 while on 30 December 2009, it was 42,770. On 31 December 2009, the first-hour volume was 67,680. It was expected that volumes would go up in the New Year after one hour was added to trading. However, this has not happened so far. In fact, Nifty futures volumes on some days between 9am and 3.30pm were lower than volumes generated during earlier days when trading was done between 10am and 3.30pm.